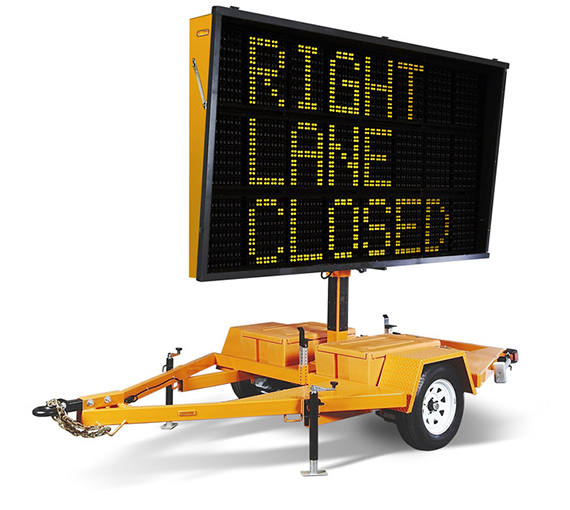 A PCMS is a full sized Portable Changeable Message Sign that can be 3-line or full-matrix displays. They are the large, trailered message board. They can have either be 3-line or full-matrix displays.